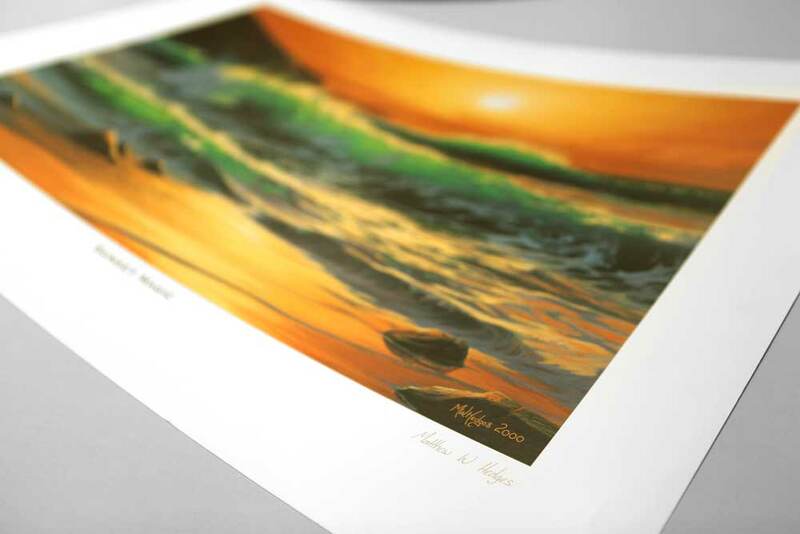 These quality prints are reproduced using a Digital Press with lightfast inks on matte heavy weight paper. They are double card mounted using quality mount board which is slightly off white and delivered flat. A stiff backing card is also included. Some of my favorite paintings have been made available as collectable works of art. These high quality lithograph prints have been reproduced using archival quality materials to ensure their conservation and your lasting enjoyment. They are available as 'print only' and delivered rolled in a tube. Sunset Magic. Fine Art Print. These are double card mounted and framed in wood. They are framed are in either plain solid oak or white washed ash giving them a modern look. 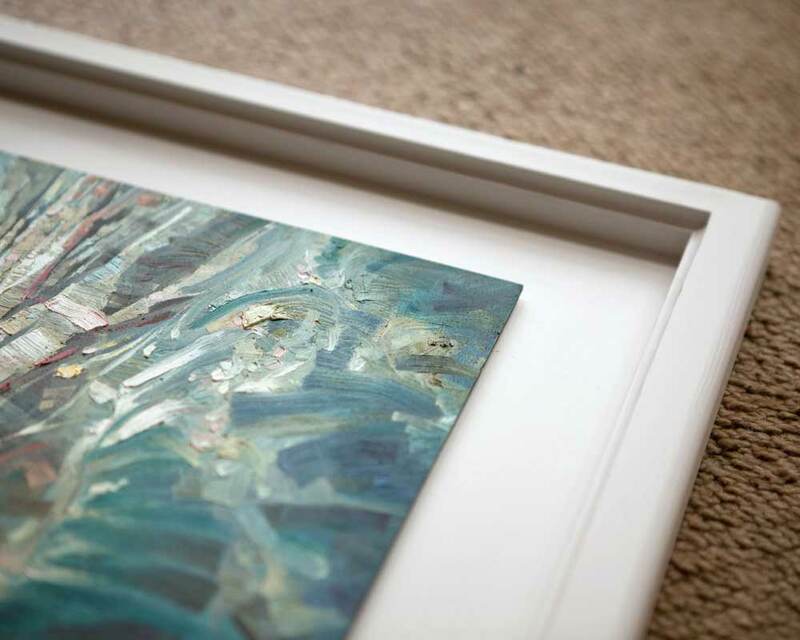 Oil on canvas originals are treated slightly differently and it is quite normal for them to be just framed in a chunkier frame with no mount or glass. They are either box framed in white (for a modern look) or guilded (for a traditional look). All framed art has glass except oil paintings. Incoming Tide. Oil on Board.